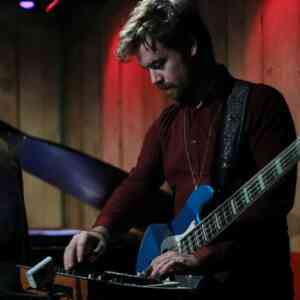 In this interview, NYC resident James Quinlan talks us through his evolution as a bassist. James Quinlan is the man providing the low end for Sirintip, but as a modern-day session player he’s often called upon to handle everything from singer-songwriter duties to writing and production sessions. Since arriving in NYC from his home in Miami, James' ability to leave his own musical ego at the door has proved essential. In his case it’s an awareness of what it takes to make a situation work, together with an impulse to keep things simple. His creative relationship with Sirintip is a perfect example. … It costs nothing, and it’d mean the world to me because it helps other bass players who are interested in listening and learning from some of the best players in the world to find the show and start making progress. To keep up to date on all of the upcoming episodes, you can also subscribe! Thanks so much for listening. I’m committed to serving you guys… and as always, see you in the shed! Brooklyn-based bassist, arranger, producer and composer. Why James always wanted to move to NYC. What he learned from gigging on a cruise ship. Why he was convinced he’d end up as ‘the jazz guy’. Why networking and consistency is more important than chops. What his studio skills have brought to his bass playing. You're also going to see three exclusive performances from Sirintip!